Atlanta, GA – April 7, 2014 – InCloud360, a leading supplier of cloud accounting and CRM solutions, and cloud advisory services, has announced a new webcast for professional service companies seeking measurability in their operations. The webcast, 5 KPIs that Matter for Professional Services, will be held on Wednesday April 23, at 1 PM ET. To register for the free webcast, link here. The webcast will feature keynote speaker David Hofferberth of Service Performance Institute (SPI) sharing years of analysis into the top performance drivers and profit-centric measures that drive financial success for professional service companies. Competitive Analysis: Learn how, as a Professional Service Organization, you can learn to outperform competitors and align your strategic financial goals. Five Key Performance Indicators for Financial Success: This Whitepaper combines years of strategic planning and research from SPI and informs readers of the Essential Definitions and Metrics on which PSOs need to focus. How to Monitor Your Alignment to the KPIs: Learn more about the crucial metrics—and the Intacct cloud solution that helps you monitor them in real-time. Many Professional Service Companies have already seen the value of partnering with a leading cloud provider. Through InCloud360, companies and organizations, especially those in the professional services industry, have recognized previously unseen growth and financial insight. Intacct provides professional financial management and accounting software for streamlining your services business using a single, connected system to manage the end-to-end process of delivering services to your customers—on-time, within budget—and improve revenue per employee by up to 23%. 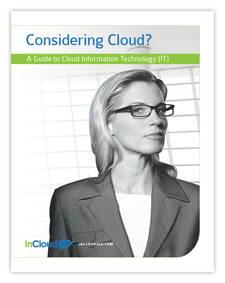 Again, this free webinar, sponsored by InCloud360, will be held on April 23, 2014 at 1 PM ET, is free for Professional Service Organizations, and can be registered by clicking here.